Reviews of "The Path of the Priestess"
Sacred Mysteries Productions presents 2012: The Odyssey. Written and Directed by Sharron Rose. Produced by Jay Weidner. Featuring Jose Arguelles, Gregg Braden, John Major Jenkins, Rick Levine, Geoff Stray, Moira Timms, Alberto Villoldo, Jay Weidner, the Incan Elders and others. Armageddon is not what it used to be. What lies ahead for the human race? Will we reach the destiny that awaits us? 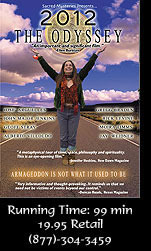 In the film 2012 The Odyssey, author Sharron Rose went on a quest to understand the many prophecies around the year 2012. In this sequel to that film, she travels far beyond the world of 2012. 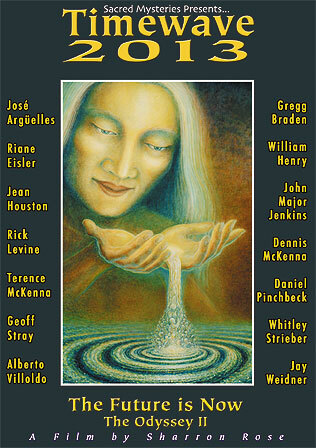 During this fascinating expedition into the nature of time itself, Ms. Rose speaks to many of the world’s experts on mythology, alchemy, astrology, anthropology and ancient history; Jose Arguelles, Gregg Braden, Riane Eisler, William Henry, Jean Houston, John Major Jenkins, Rick Levine, Dennis McKenna, Terence McKenna, Daniel Pinchbeck, Geoff Stray, Whitley Strieber, Alberto Villoldo and Jay Weidner. They discuss topics such as the shift of the ages, the galactic alignment, global warming, the pervasive role of the media in our lives, the secret place of refuge, the mystic work of Benjamin Franklin, renewal of the American spirit and the transformation of humanity. Journey with Ms. Rose beyond the Georgia Guidestones, Denver Airport, Cross of Hendaye and Mayan Calendar to the Sacred Valley of Peru where we sit in ceremony with the powerful Shaman/healers of the Q’ero people and listen to their powerful prophecies for the future of humankind. While firmly based in a rich perspective on our past history, and a new understanding of the nature of the times we live in, Timewave 2013 offers a clear, yet positive vision of what is to come. In this elegant and enlightening presentation, award winning author, educator and performing artist Sharron Rose introduces the feminine – based Yoga of Light, an ancient science and spiritual practice of physical and spiritual revitalization. 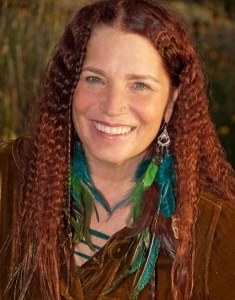 Rooted in her extensive research and first-hand experience in women’s mysteries and the mystic arts of Tantra and Alchemy, Ms. Rose introduces a system of yogic training based upon the unique dynamics of the female energy field. This consists of meditations for relaxation and stress reduction, visualizations for cleansing, restoring and protecting the physical body and luminous energy field that surrounds it, mudras (sacred gestures) designed to depict the flow of subtle energy through the luminous field, and exercises to enhance visionary capacity and align women with the most powerful and profound feminine role model – the Great Goddess. Segments include; Yoga of Light, Cleansing the Luminous Body, Igniting the Inner Fire, Awakening the Serpent Power, Opening the Heart and Healing the Luminous Body. 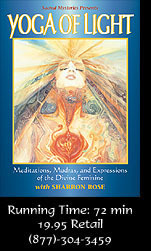 A guide for personal exploration of the path of the Divine Feminine and the spiritual power of women, this book is an excellent compendium to the Awakening the Divine Feminine video series. The Path of the Priestess takes readers on a compelling journey deep into the heart of the feminine experience, presenting a rare glimpse of the essential and significant role of women as caretakers of the psychic-energetic-emotional landscape of society. It is based upon the author's years of first-hand experience in the ancient arts of Tantra, Dzogchen, Indian and Egyptian Temple Dance and Healing, as well as her research into the feminine principle in the mystic teachings of the Alchemists, Hebrew Kabbalists and Christian Gnostics. Through its mythic and historic tales, thought-provoking analysis of contemporary society's conditioning of women, descriptions of sacred ritual practices and teachings on the Goddess traditions, The Path of the Priestess provides contemporary women with the means to enter this time-honored path. In keeping with the experientially based teaching methods of these traditions, it also offers exercises and visualizations designed to align them with the powerful, sensuous and loving energies of the most profound feminine role model that shaped and preserved culture and society - the Great Goddess. Reviews for "The Path of the Priestess"
"An inspiring read. Sharron Rose takes us along on her spiritual journey, unveiling at every turn the presence of the Divine Feminine that has been hidden in this age of spiritual materialism from which we are beginning to awaken." "From the moment I read the first words of the preface, I knew that 'The Path of the Priestess' was totally 'on the beam'. The book provides both eloquent insights into the nature of Goddess energyand ways for the reader to realize it for themselves. As I feel that Goddess Consciousness is the evolutionary path of choice for the planet, I send Sharron my heartfelt appreciation and give the book my highest endorsement". Sharron Rose, MA.Ed, is a filmmaker, teacher, writer, choreographer and Fulbright Senior Research Scholar in World Mythology, Religion and the Sacred Arts of Dance, Music and Theatre. She is the writer/director of the feature length documentary 2012 The Odyssey, author of the award winning book, The Path of the Priestess; A Guidebook for Awakening the Divine Feminine (Inner Traditions), creator of the DVD Yoga of Light and producer of the Sacred Mysteries DVD Collection. Read more..